A modern house in a rural setting positioned to enjoy panoramic views over rolling pasture land with privacy provided by surrounding stands of native bush. Reached by way of a long driveway off a cul de sac serving two or three other recently constructed houses, in the faux English country house tradition of the 19th century. 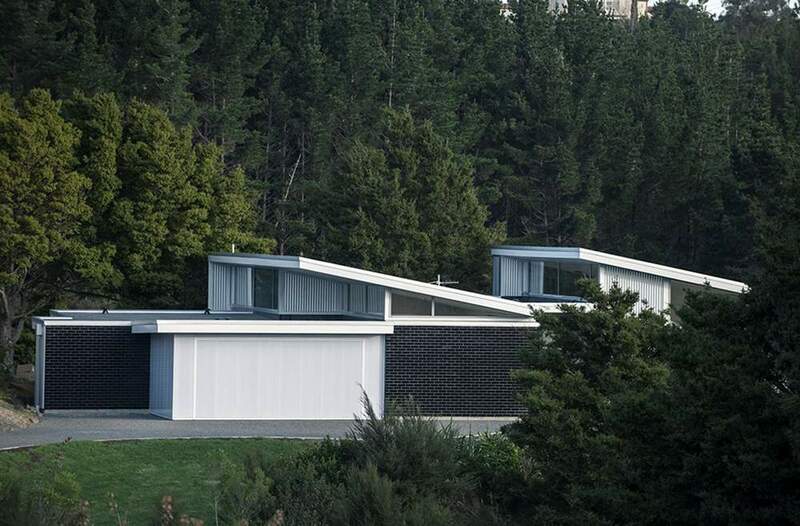 Views back to these houses is screened by regenerating native bush and existing totara trees. Built on a level platform allowing a single level of construction with garaging, gym, laundry, three bedrooms and two bathrooms under one roof form and the kitchen, dining, living and outdoor terrace under another. 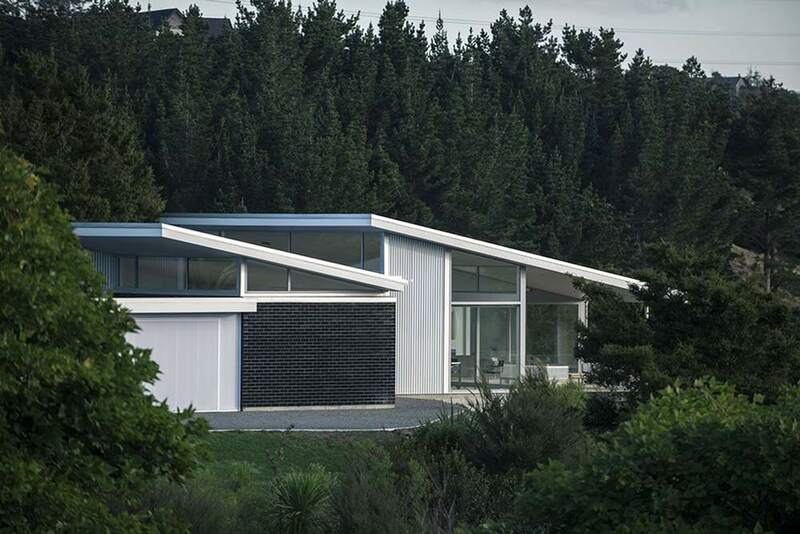 The mono pitched rooves rise up to the south, allowing the southerly light to flood into the rooms through the high level clerestory windows. The building’s simple forms are a modern version of the traditional rural shed and barn out buildings, with zincalume corrugated steel cladding to the rooves (used vertically on the walls ) echoing the rural tradition. 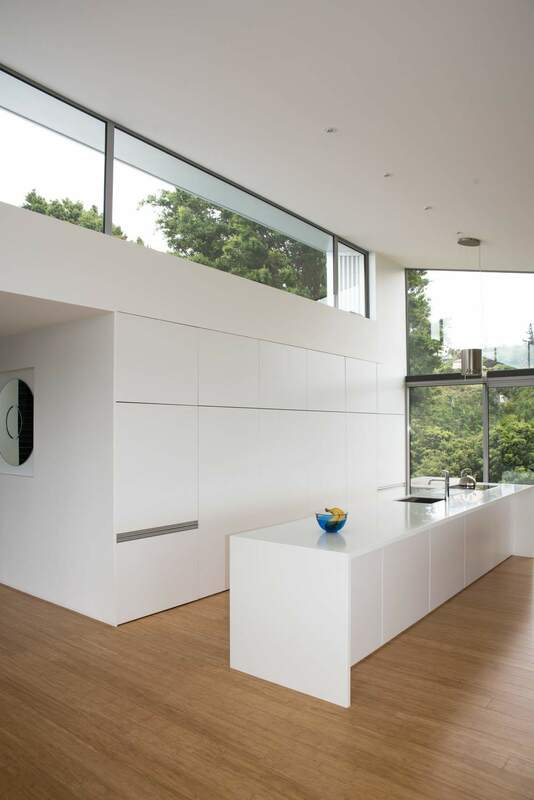 danpalon acrylic sheets to the walls and door of the garage ( and to the gym behind it ) provide insulation and natural light to the interior of what are normally dimly lit spaces . 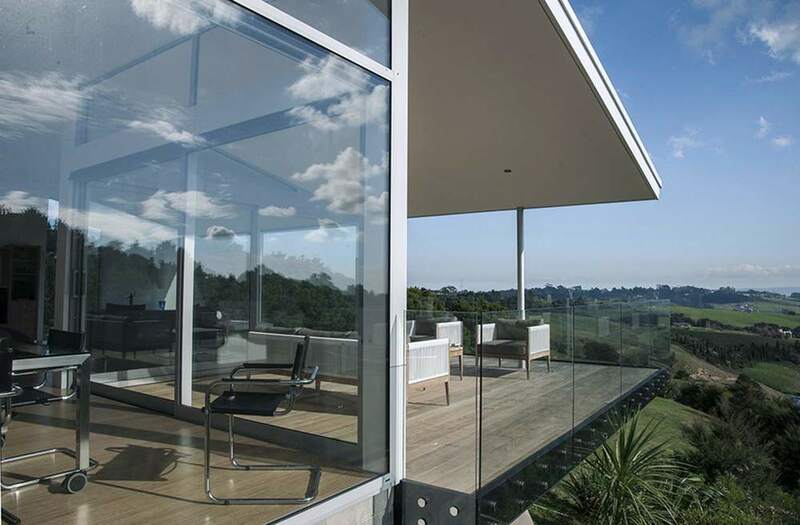 Large windows and sliding glazed doors in the rooms facing the north allow uninterrupted views to the farmland beyond and access to the outside areas. 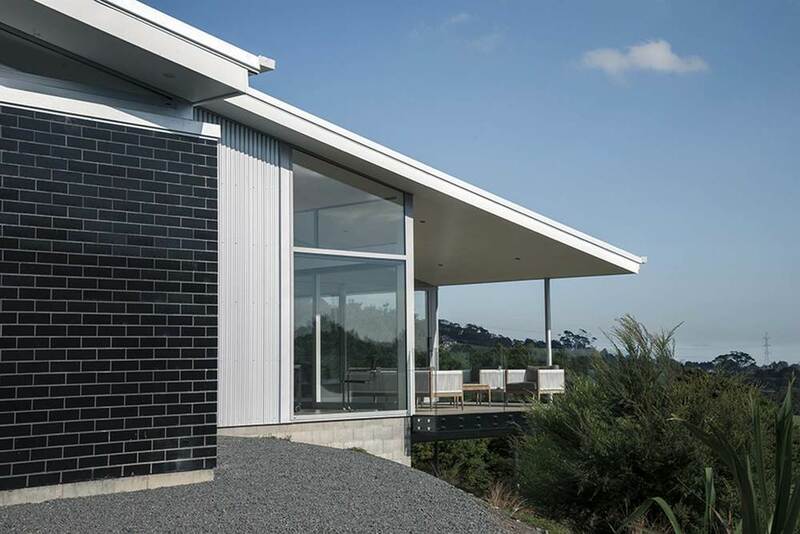 Three contrasting exterior walls of black glazed bricks provide a strong contrast to the lightness of the zincalume, glass and danpalon construction. 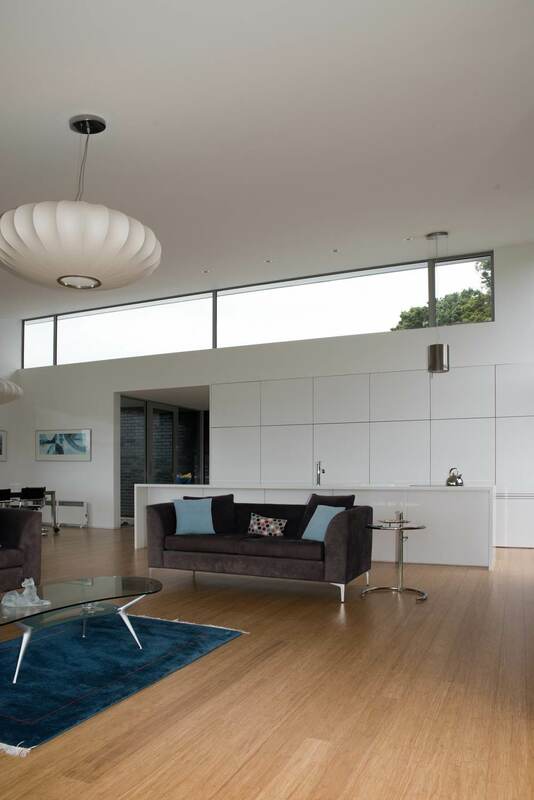 With white walls, ceilings and cabinetry throughout, the feeling within the home is one of lightness, simplicity which emphasises the contrasting greenness of the surrounding pasture and trees.